Read the latest thinking from the crossroads of marketing, insight and technology. Gathering big qual online has many benefits and often results in lots of data for a couple of reasons. Firstly, the anonymity of online qual encourages participants to open up and share more detail with the researcher. Secondly, the online setting makes qualitative research more convenient since participants don’t need to leave the comfort of their own home to take part and can share their thoughts from wherever they are via their smartphone. The increased participation and engagement in the study is great for the quality and depth of feedback. In addition, the ability to have in-situ conversation with the participant whilst they are still experiencing the service/product they feedback on, further enriches the qualitative data. However, any qualitative researcher will likely tell you that the above also means more words, more paragraphs, and a bigger volume of data to sift through. From the research-side of things, that’s okay, but from the project management view any team leader knows that large qual often means losing the qualitative researcher for days if not weeks whilst they analyse heaps of data. So, how can we be more effective in tackling the analysis of big qual? Any qualitative researcher will likely tell you that Big Qual also means more words. more paragraphs. and a bigger volume of data to sift through. Large volume of qualitative data very rarely comes as a surprise. From the beginning, project objectives give an indication of how much qualitative feedback we can expect. Once the research materials are designed and the fieldwork is about to start, take a moment and decide what is likely to be covered where. This is especially useful when you have several qualitative activities within one project. For example, if you are running a Live Chat focus group with a pre- and post-task, it’s unlikely that you will cover all the topics in the three of these. So get a highlighter pen and link each activity with the objective it informs. Not every qualitative feedback needs to be in words. Ask participants to share images, videos, or use other creative activities such as smartboards to change the format of the feedback you are receiving. It will also add variety to the moderation and analysis, and will keep you more engaged in the feedback as a researcher. Use the old saying of ‘a picture is worth a thousand words’ to you advantage. Images are a great format to see what participant is seeing and helps them explain the ‘why’ qualitative feedback is so heavily focused on. For example, you can ask participants to write an essay and explain why their most recent shopping trip wasn’t good, or you can ask them to submit a series of images that show what was not good about their trip. Qualitative feedback is powerful and can send you down the paths you were not expecting; whilst this is great for uncovering something new or surprising, it’s also risky as it’s easy to lose sight of the aims of the study you started with. Maintain a healthy balance between following participants’ thoughts to uncover the unexpected vs. achieving your objectives – whilst the unexpected will score you brownie points with the client, they will still want to know the answers to their original questions. Qualitative feedback is powerful and can send you down the paths you were not expecting; whilst this is great for uncovering something new or surprising. it's also risky. Qual is about detail and in my opinion, the best way to read through all the detail and consider it well is to combine the analysis with the moderation during fieldwork, so I’d suggest starting your analysis whilst you moderate and update your notes as new feedback is coming in. It will not only get you ahead with your analysis but will also help you with moderation – I think it’s much easier to find the overall consensus this way. Colour is your friend, so use highlighters, different coloured fonts, etc. to separate different layers of feedback. Divide your participants into sub-groups based on their opinions (e.g. supporters vs. critics, enthusiasts vs. improvers and so on) to make the connections easier. Keep track of the proportion of people who agree with each other to help you separate key findings from ‘nice to have’ data. Video analysis tools will save you from watching hours of video feedback and help you identify key topics each video covers. This way you will be able to know which clips you need to watch with regards to which topic. The video analysis tools already available let you not only auto-transcribe videos, but also map participants’ emotions, facial expressions and tag the general sentiment of the video. They also have very creative ways of preparing montage videos of key highlights or word clouds of key words mentioned across the videos. Text analytics is another efficiency-generator when it comes to qual analysis. From grouping similar words and counting how many times they have been mentioned through to reducing the comment into key highlights – all of these tools facilitate efficiency and save you time. In my opinion, these tools are especially useful when used after you have analysed whilst moderating as they give you a great refresh of the feedback without needing to go through the detail again. Big qual can seem overwhelming in terms of the volume of data collected. However, it’s not as scary as it sounds. Taking a step back and carefully preparing your approach at the start of the project will allow researchers to be more efficient whilst the project is running. What are your experiences of analysing big qual? Share with me in the comments below! Dr Crockford is a scientist and mathematical genius who has established herself well in the market research industry. She is responsible for the skills and work of our research teams, and strategically plans research processes around client needs to ensure we deliver the maximum possible value. 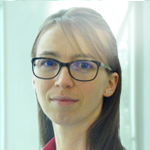 You can follow Dr Crockford on Twitter or connect with her on LinkedIn. Ready to see us in action? We empower brands to make informed decisions at the speed of business through on-demand insight and enterprise grade technology. Don't settle for disconnected research tools. Discover the power of an integrated, scalable platform.